c1883 cabinet photograph of Elberta Harriet (Hemenway) McLanathan of Framingham, Massachusetts, in her wedding dress. 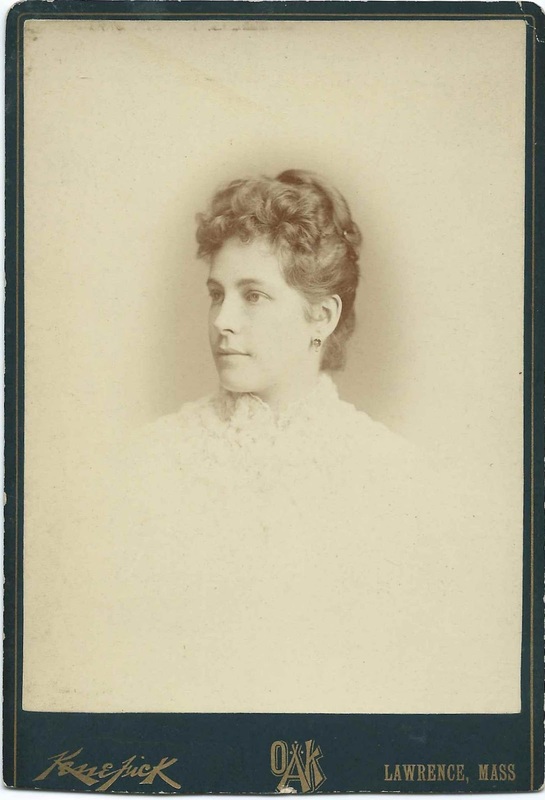 She married manufacturer Frederick W. McLanathan on October 16, 1883 at Lawrence, Massachusetts. 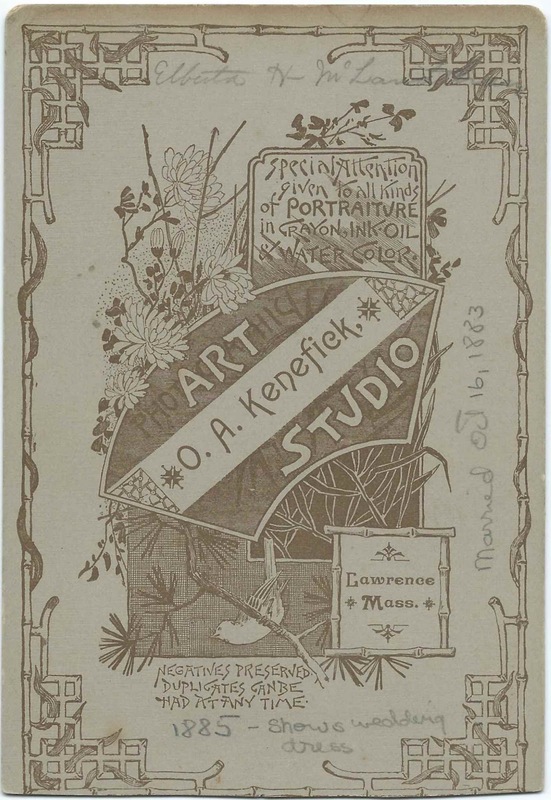 The photograph was taken at the studio of O. A. Kenefick of Lawrence, Massachusetts. Someone wrote Elberta's name on the reverse, along with the date of her wedding and the fact that she was wearing her wedding dress at the time the photograph was taken. This person also wrote the date 1885, which is confusing, unless Elberta happened to wear the same dress in 1885. 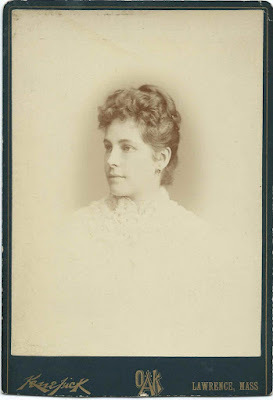 Elberta Harriet Hemenway was born December 14, 1858 at Framingham, Massachusetts, the daughter of Elbert and Lucy Bennett (Sanger) Hemenway. Elberta's husband Frederick William McLanathan was born December 31, 1846 at Lowell, Massachusetts, the son of Samuel and Elizabeth (Dickey) McLanathan. Elberta and Frederick had two children, I believe, son Frank and daughter Rebecca. Frederick died in 1907 and is buried at Framingham, Massachusetts. Elberta was still living by the time of the 1930 Census of Methuen, Massachusetts. Her daughter Rebecca was living with her.